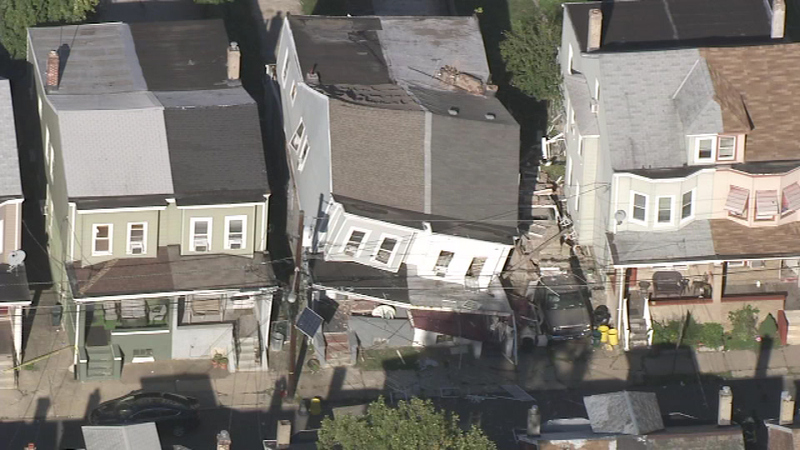 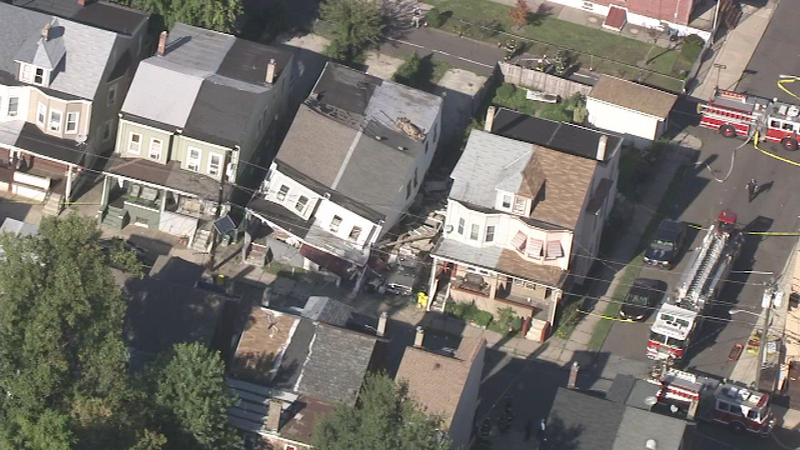 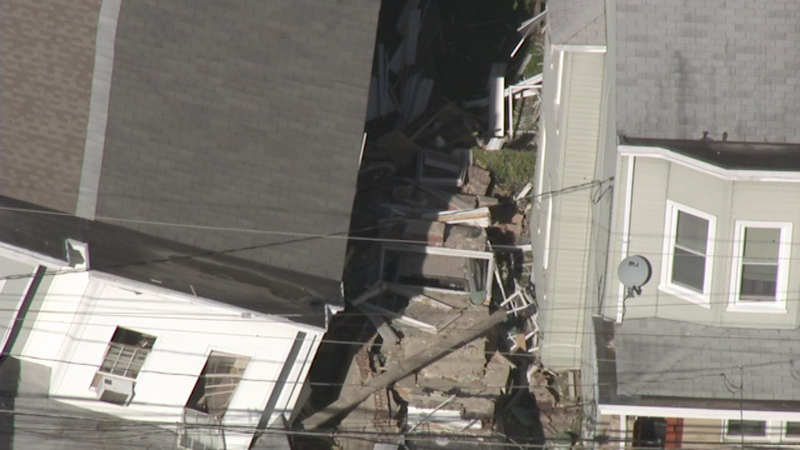 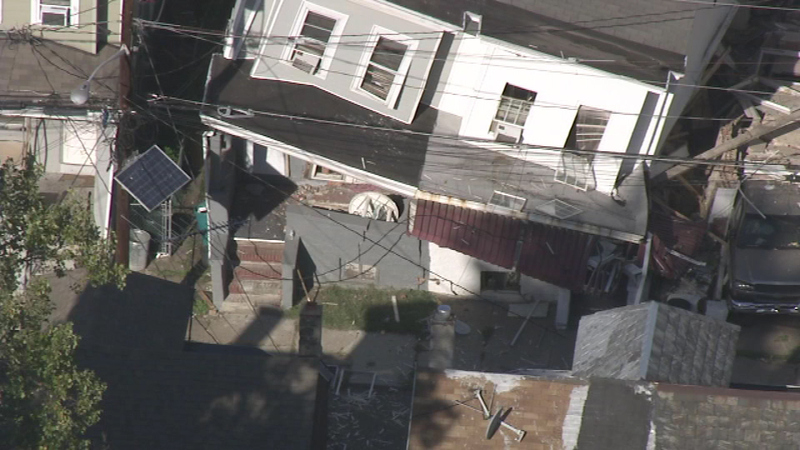 TRENTON (WPVI) -- Emergency crews responded to a partial house collapse in Trenton, New Jersey following an explosion. 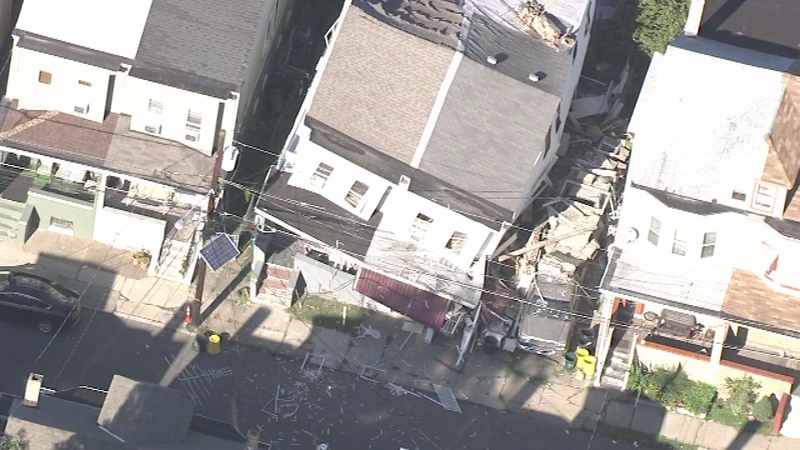 Officials are investigating a house collapse and explosion in Trenton. 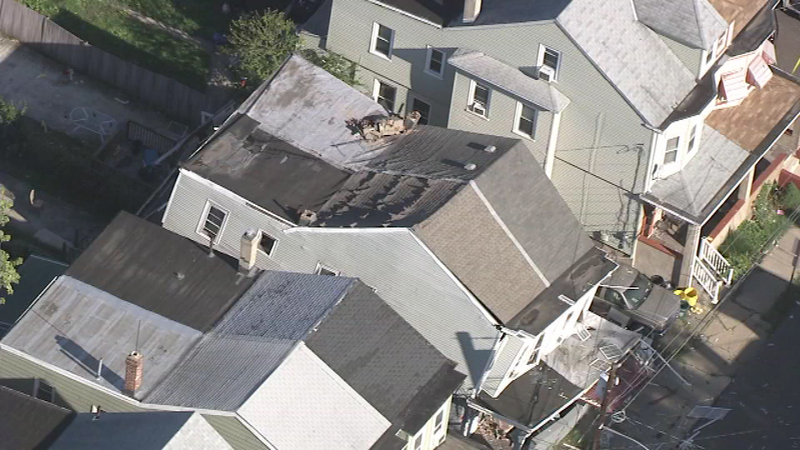 One of the homes was vacant; the other was occupied was occupied by 45-year-old William Lewis and his nurse aide. 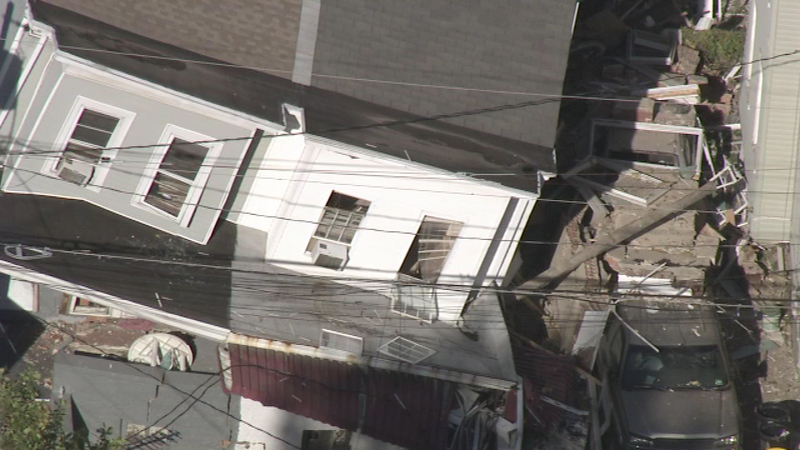 Neighbors say they were trapped and couldn't get out. 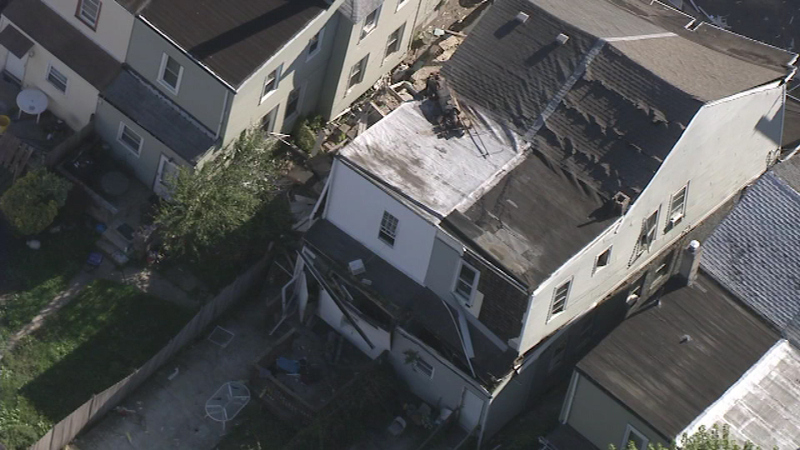 "We saw them clawing at the windows, so a couple guys off the street threw bricks in the window and then there was a tire on the street and they threw the tire, told them to back up, threw the tire through the window and they climbed out the house," neighbor Lashonne Phillips said. 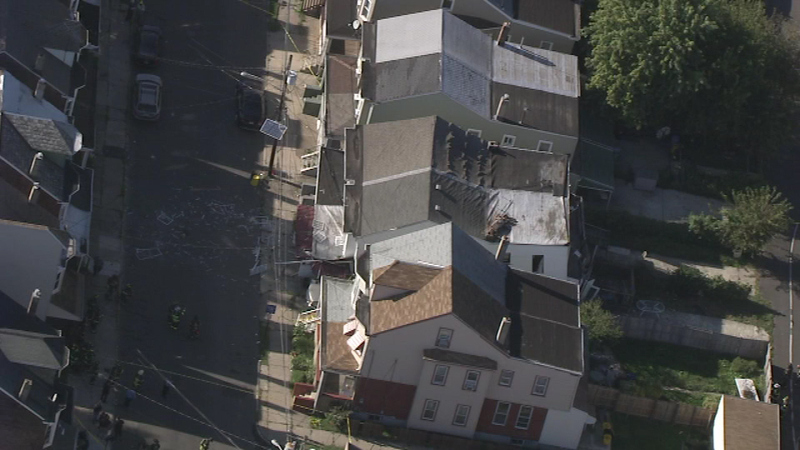 William Lewis suffered scrapes and was taken to the hospital where he was treated and released.